Mugham, one of the unique treasures of the oral and spiritual heritage of humanity, has begun to enter the world culture since the beginning of the last century. Azerbaijan has prepared a bill on the preservation and development of mugham, Chairman of the Parliamentary Culture Committee Rafael Huseynov said at the committee’s meeting, Trend reports on Thursday. He noted that all the discussions have been held on the bill. “It is time to review it in plenary session. 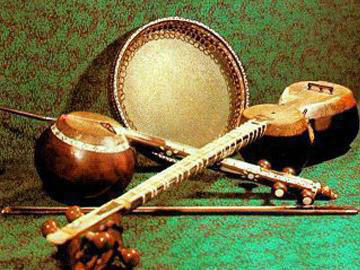 In recent years, Azerbaijan has paid great attention to the art of mugham,” said chairman of the committee. Huseynov also noted that a separate bill on the art of ashug is also needed, adding that work is underway to prepare a bill on the preservation and development of the art of ashug. Mugham is one of the main genres of Azerbaijani traditional music. The history of Mugham is very ancient. The creation of mugham, the magnificent art of eastern music, is about the millennium, the pre-Islamic period. The meaning of the word "mugham" is also interpreted as "the music sent by God." The Mugam is said to have the spirit of God purifying people. Formation of Mugham as a genre dates back to XII-XIII centuries - the period of "Muslim Renaissance". The rise of poetry in this period (Nizami, Khagani, Nasimi, Fuzuli and other poets) promoted the development of mugham. Mugham was a common music genre of the Middle East until about XIV century, but was subsequently broken by the sociopolitical changes that followed. The mugham contains seven main modes - Rast, Shur, Segah (are especially common), Shushtar, Bayaty-Shiraz, Chahargah, Humayun and three collateral kinds - shahnaz, sarendj, chargah in some other form. Every mode represents a strongly organized scale, possessing a firm tonic prop (maye), and each step of the mode has its melodic function. Mugham for the Azerbaijani people is a unique meditation that resembles music, philosophy and the soul of human. Several mugham performances schools have been formed in Azerbaijan. This genre is spread throughout the country, but the main centers of mugham art are considered Baku, Shamakhi, Ganja, Nakhchivan and Shusha. Among them are Garabagh mugham school formed in Shusha - Eastern conservatory. Khan Shushinski, Zulfu Adigozalov, Seyid Shushinski, Abulfat Aliyev, Mutallim Mutallimov, Islam Rzayev and Arif Babayev are bright images of the Shusha mugam school. The main pearl of Karabakh mugam performers is "Garabagh Shikestesi". The artistic value of Azerbaijani Mugham and its high importance both for the national culture and the world community have been universally recognized at the international level: in 2003 UNESCO recognized the Azerbaijani Mugham as a masterpiece of the Oral and Intangible Heritage of Humanity. The art of Azerbaijani ashugs was included in the representative list of the Intangible Cultural Heritage of UNESCO in 2009. Nowadays, Azerbaijan encourages the art of Mugham through holding international festivals and competitions. The International Center of Mugham was built in the form of tar in Baku in 2008.